Would you like to know the current security condition of your existing Joomla! website? Think your site might be hacked? Nine out of 10 owners of compromised websites are totally unaware they’ve been hacked. Order our one-time PEAK Joomla! Security Audit service to receive a comprehensive recommendation report detailing the current state of your website, including all existing vulnerabilities and recommended remedies to prevent your site from being hacked. This report is not a sales pitch for additional fees! It documents all problems discovered during our audit along with action steps to correct each issue. Our service goes beyond the results of automated security scanning tools that merely list files that appear suspicious. Their list of “problems” are often innocent scripts containing patterns similar to hacks. Deleting these “hacked” files without a closer look could easily result in a broken website. What’s required is a manual review by an expert that knows what the suspected code is used for. Sparks Arts has been using Joomla! since 2006 in our day-to-day website development and maintenance services. Richard is a certified Joomla! 3 Administrator with extensive knowledge to maximize Joomla! experience, performance and security. A thorough scan of every file in your website hosting public HTML directory for unexpected changes and suspicious code. We use several scanning tools to validate reported issues. If a problem exists, you can be certain we will find it. A manual review of every suspicious file and script. All files flagged by our scans as potentially hazardous will be manually verified to eliminate false positives and identify any and all true hacks and malware. Review of your database tables to identify any entries that aren’t part of Joomla! or installed extensions. Complete review your entire Joomla! website setup - Joomla! core, installed third party extensions and templates, website configuration, user login accounts and website hosting services. Identify required software updates, known vulnerabilities, and improper website and server settings. Test if your domain name or email accounts are on any blacklists and why. PEAK Joomla! Security Audit doesn’t make any changes to your site. We only examine it thoroughly, provide a detailed report on its condition, and make recommendations to correct any problems found. Our final Action Report will document what we found and provide a plan to correct all issues. Provide expert recommendations for configuration adjustments to increase security. You may hire us to make the necessary corrections or pass our security audit report on to someone else at your discretion. If you decide to hire us to implement the audit recommendations, and sign up for our Standard or Premium monthly PEAK Website Maintenance plans, we will give you 2 months maintenance service absolutely free. Let us discover any problems with your website before hackers find and exploit them. Rest easy knowing the condition of your website, get it in perfect shape and keep it there - safe and secure! 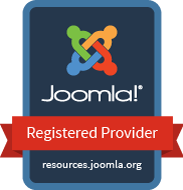 Sign up for our PEAK Joomla! Security Audit now.